“One of Kapuściński’s greatest gifts was his talent for capturing the lives of ordinary people. His endless capacity for escaping press minders and straying off the beaten track brought him into contact with people living in the back streets, refugee camps and war-zones. And that contact produced some compelling accounts of life on the margins in post-colonial Africa.” – Kevin Watkins, Overseas Development Institute at Kapuscinski Development Lecture in Stockholm, 5.03.2013. Ryszard Kapuscinski (1932-2007) was a Polish journalist and writer who covered developing countries. Kapuscinski, whose books were translated into many languages, was often named the “Third World Chronicler” or the “Voice of the Poor” for his famous reportages and books describing developing countries on all continents. Among other books, he was famous for: “The Emperor” on Ethiopia, “Shah of Shahs” about Iran, “The Shadow of the Sun” about Africa, “Another Day of Life” about Angola, and “Imperium” about the Soviet Union. 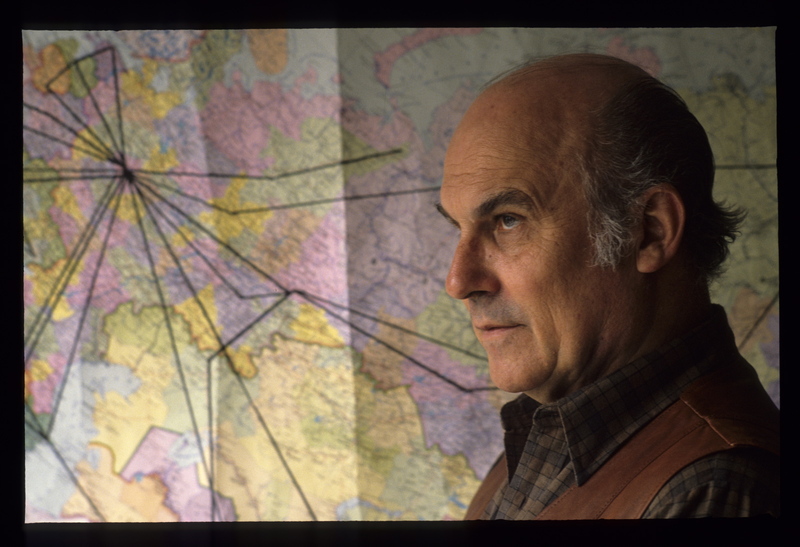 Kapuscinski was born in 1932 in Pinsk (Polesie, modern-day Belarus), where he experienced his first “clash of civilizations” with the Soviet occupation of Poland. After the Second World War, he studied History at the University of Warsaw. As a junior reporter, he covered stories on Poland, and after the fall of the Stalinist regime in October 1956 and the subsequent “thaw” that followed, he started covering revolutions and national liberation struggles in the Third World as a correspondent for the Polish Press Agency as well as the journals Polityka and Kultura. He spent 50 years (1956-2006) travelling the world as a reporter and visited more than 100 countries. In Poland, his The Emperor, a book of literary reportage from Ethiopia, and Shah of Shahs, an account of the Islamic revolution in Iran, were interpreted as a great metaphor on the collapse of autocratic regimes and the changes that follow. Kapuscinski’s knowledge of the Third World gave him an excellent grasp of the essence of the Solidarity revolt in Poland. He became one of the world’s most prominent Polish writers and commentators on great transformations. His books have been translated into 36 languages.